The Annual Allchin Symposium on South Asian Archaeology was established to commemorate the work of Raymond and Bridget Allchin, and the outstanding contribution that they made to development of South Asian studies in the United Kingdom. The United Kingdom is currently home to the largest community of scholars working on South Asia outside of South Asia itself. Yet, until recently, there has been no regular forum to meet, exchange ideas and share research. The Annual Allchin Symposium provides an opportunity to bring together UK-based scholars working in South Asian Archaeology, and also those researching South Asian History and the History of Art and Architecture, including established lecturers as well as post-doctoral researchers and PhD students. It creates a much-needed forum for the presentation and discussion of current research as well as methodological and theoretical concerns that affect research in South Asia. Discussions will strengthen existing research, foster new ideas and promote synergies between different areas, periods and subjects of study. This will be of great benefit to staff and students alike, many of whom work as isolated researchers within larger departments and institutions where the needs and questions relevant to the study of ancient South Asia do not necessarily correspond with mainstream agendas, and, at times, are overlooked. This is especially critical now that the British Academy has withdrawn its funding for South Asian Studies, and scholars of South Asia are being asked to compete for funding on an increasingly uneven playing field. 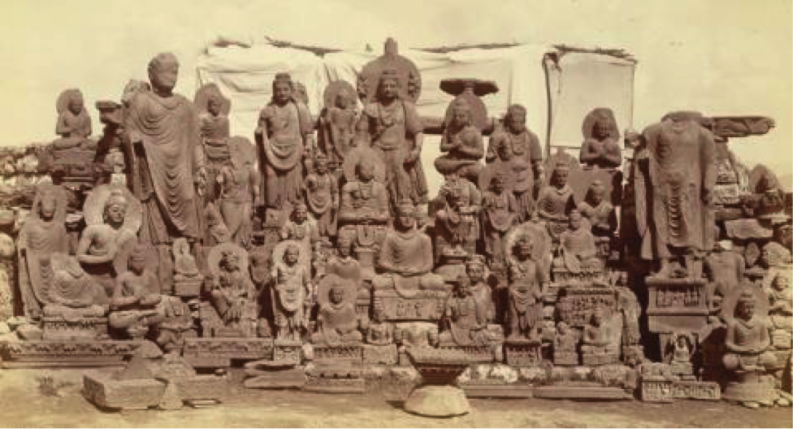 A keynote address, India’s global interconnections: looking west during the Roman period, will be presented by Dr Roberta Tomber (The British Museum), on the evening of Friday 2nd December, in the McDonald Institute Seminar Room (Downing Site Courtyard building). The main symposium will take place on Saturday 3rd December at the Ancient India and Iran Trust, Cambridge. The cost of registration will be £15. Further details regarding registration and the venue, can be found on the Symposium website. It will be possible to register on the day, but if you wish to register beforehand, please contact Margaret Widdess, Administrator, Ancient India and Iran Trust, at info@indiran.org, or telephone 01223 356841 (Mon-Fri 9.30-13.00). All other enquiries should be addressed to the organisers at archaeologysouthasia@gmail.com.